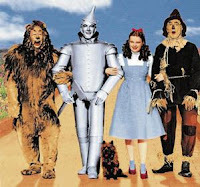 Let's say you're pitting The Wizard of Oz, Gone with the Wind, and Mr. Smith Goes to Washington against each other for an Oscar for Best Picture. Tough call, right? You'd have to guess that the vote would be pretty well split among these three huge contenders: the most reconizable musical fantasy in history, the defining romance of Hollywood's Golden Age, and the definitive David versus Goliath political drama. Fans of one kind of movie may or may not be fans of the others, and certainly, you would have to assume that if those who voted for Mr. Smith, say, couldn't get their first choice, they'd want to weigh in on who between the other two movies did win. Let's make it even tougher. Now let's go nuts and throw in not two but seven other films. Dark Victory; Goodbye, Mr. Chips; Love Affair; Ninotchka; Of Mice and Men; Stagecoach; and Wuthering Heights. I know what you're thinking: With all these amazing classics all vying for the top prize, you could easily have a ten-way split! The winner could squeak by with a meager 11%, and worst of all, it could be the movie that most people didn't want to win. The winner could theoretically be the film opposed by 89% of those who voted. But this is the choice the Motion Picture Academy faced in 1939. Ten really strong nominees. How could they ever decide? They used instant runoff voting (IRV). In the parlance of the movie biz, they usually refer to it as "preferential voting," but it's the same thing. Voters rank their choices in order of preference (1, 2, 3, etc.). If no movie is the first choice of a majority, the film with the least first-choice votes is elliminated and the second choices of those voters are distributed. This process continues until we have a winner over the 50% mark, ensuring a majority consensus winner. 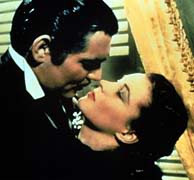 In 1939, it gave us Gone with the Wind as the winner. The last time they used IRV was in 1943. Since then, they moved to five nominees, with the winner selected by mere plurality (first-past-the-post). Last year, the Academy changed its mind again, and declared that for 2009, the old ways were the best ways. 2009's ceremony will see 10 nominated films compete for the Oscar under the IRV rules once again. This site is dedicated to taking a fun look at how this voting system, which works so well in political races, will change the game for the Oscars. IRV is great for elected office--it helps ensure majority consensus and eliminates the spoiler problem (when strong third parties tip a race one way or the other). We think it will be great for Oscar, too. So keep coming back here for an exciting look at how this electoral reform is changing the way we do the Oscars. We'll be making sure to clear up misunderstandings and mistakes made by people who are just discovering IRV, and just like you, we'll be watching very closely who gets nominated, and who comes out on top.